Officials of Iran’s Civil Aviation Authority are mulling plans to look up to Russia’s Sukhoi Superjet as the Iranian carriers seek to buy up to 500 aircraft to upgrade their ageing fleets. Ali Abedzadeh, head of the Civil Aviation Organization, quoted by semi-official Fars news agency, indicated that Tehran could go for Superjet 100. 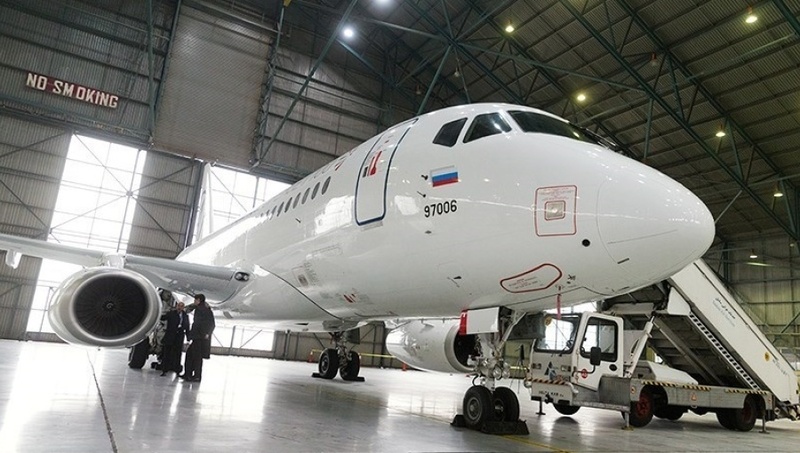 “If the Iranian airlines want to use this aircraft (Superjet 100) and the seller is willing to sell it to Iran, the Civil Aviation Organization is ready to issue its final comment on this aircraft,” Abedzadeh said. “this aircraft has adhered to world standards and is flying currently, therefore there is no reason for us to reject it,” he added. The choice of the Russian aircraft has come after Boeing and Airbus have been forced by the US to scrap deals and discussions with Iran’s national carrier and other airlines. US President Donald Trump in May tore the 2015 nuclear deal between Iran and world powers and imposed a set of punitive measures while demanding multinationals to choose between the Islamic Republic and the USA. IranAir, the national carrier, placed orders for 200 passenger aircraft – 100 from Airbus, 80 from Boeing and 20 from Franco-Italian turboprop maker ATR (LDOF.MI). Sukhoi, Reuters notes, is working on reducing the number of US parts in the hopes of winning an Iranian order for up to 100 aircraft. For modern commercial planes to fly to US territory, they must have more than 10 percent in US parts. Posted by KanelkaTagba on Dec 13 2018. Filed under Headlines, World News. You can follow any responses to this entry through the RSS 2.0. Both comments and pings are currently closed.